LinkedHashSet in Java is a class which is present in java.util package. It is the child class of HashSet and implements the set interface. 1. LinkedHashSet class contains unique elements. 2. It allows null value. 3. 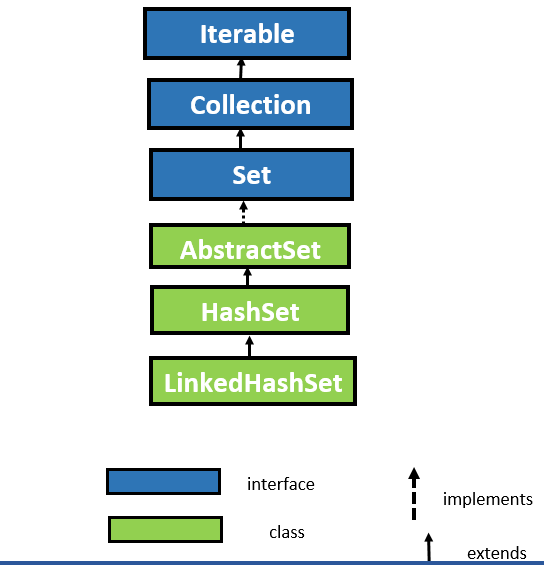 The underlying data structure for LinkedHashSet is both a hash table and linked list. 4. In LinkedHashSet class, insertion order is preserved. LinkedHashSet is similar to HashSet except the below-mentioned differences. 1. In HashSet insertion order is not preserved it means the elements will not be returned in the same order in which we are inserted, while in case of LinkedHashSet insertion order must be preserved. 2. The underlying data structure for HashSet is a hash table while the underlying data structure for LinkedHashSet is both hash table and Linked List. 3. HashSet class came in Java 1.2 version while LinkedHashSet class came in Java 1.4 version. 1. LinkedHashSet(): This constructor creates a default linked hash set. 2. LinkedHashSet(int capacity): It is used to initialize the capacity of the linked hash set to the given capacity. 3. LinkedHashSet(int capacity, float loadFactor): This constructor is used to initialize the capacity of the linked hash set to the given capacity and the given load factor. 4. LinkedHashSet(Collection<? extends E> c): It is used to initializes the linked hash set by using the elements of collection c.
LinkedHashSet class in Java is the child class of HashSet class. It defines the same methods which are available in HashSet class and it doesn't add methods of its own. Read: What are the various methods available in Java HashSet class. How to add and remove elements in ArrayList? Difference between ArrayList vs Vector in Java? How to manage session in Java? Difference between Type1, Type2, Type3, and Type4 driver in Java?